Here's (not just) another film festival. 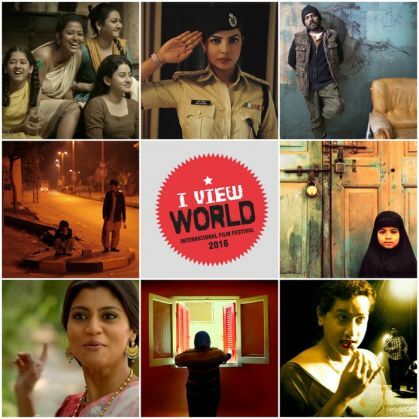 The first week of March, from the 2nd to 8th, will see Delhi become the venue for I View World, an international film festival that trains its lens on the urgent and often volatile landscape of gender, human rights and socio-cultural identities. The line-up is a crisp mix of features, documentaries and shorts that will have resonance in virtually every part of the world. Organised by Engendered, a transnational arts and human rights organisation that's been hosting it since 2008 in New York, this is the festival's debut in India. From recent Indian films such as Haramkhor and Jai Gangaajal (both of which are getting festival premieres), documentaries on the migration crisis in Europe, to a special retrospective of Mira Nair's films, I View World has a pretty impressive lineup planned. 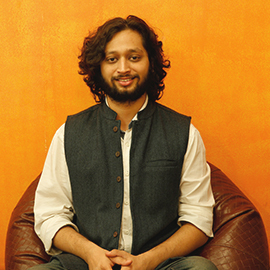 Festival director and curator Myna Mukherjee says one of the reasons the organisers decided to bring the programme to India four years after its inception is because, "When it comes to human rights, specially at the intersections of gender and marginalities in South Asia, there are still immense silences that abound." A 2015 French crime drama that traces the journey of three Sri Lankan refugees who flee their strife-torn country. Only to find themselves within another conflict zone - Parisian housing projects. A film especially relevant to contemporary India, National Award-winning filmmaker Hansal Mehta's Aligarh premiered at Jio MAMI a few months ago. It's based on the real life story of Professor Shrinivas Ramchandra Siras who had to face severe discrimination and lost his job because of his sexual identity. Academy Award nominees Carey Mulligan and Helena Bonham Carter, and three time Academy Award winner Meryl Streep feature in this drama about the fight for equality in early 20th century Britain. A feature length documentary that traces the Egyptian revolution and political climate in Turkey and Lebanon within the unique framework of that famous collection of stories, 1001 Arabian Nights. A 13-minute short starring Monica Dogra and Casey Legler - who's amongst the very few female androgynous models in the fashion industry right now. It's about two women in love, torn apart by an illness. Relapse Trailer from Jeff Roy on Vimeo. A 27-minute short feature around the life of 16-year-old Raisa who hatches a risky but necessary plan to save her younger sister from a contract marriage - a known practice among Muslims in certain pockets in Hyderabad. Another narrative documentary that looks at issues of displacement and the constant search for identity for political immigrants on the island of Cyprus. The director is certainly well equipped to make this film - he was born in the former Yugoslavia with Serbian and Croatian ancestry, raised Cyprus and educated in the US.